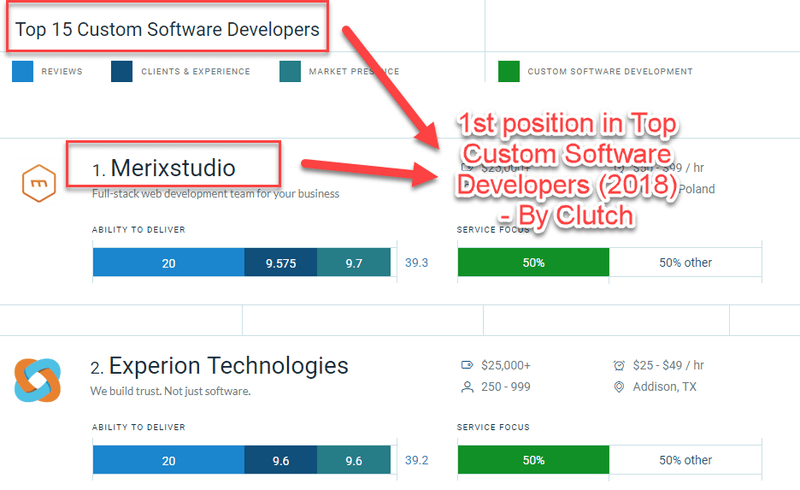 Merixstudio is rising fast to Clutch’s tops, be it Python and Django, Angular or Custom Software development. Follow me to find out what are the marketing strategies Merixstudio bows to so that it can stay on top of the game. 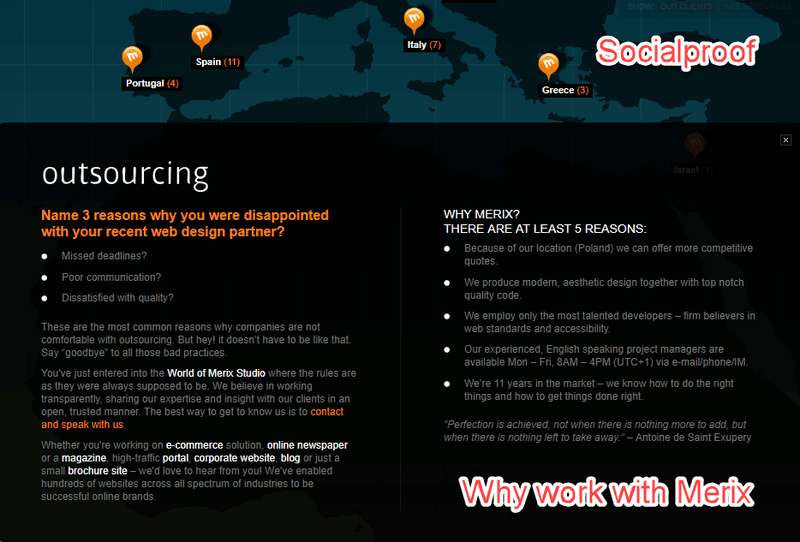 Merixstudio wants to position itself as being a creative software development house. As David Ogilvy once said: “If it doesn’t sell; it isn’t creative”, Merixstudio does sell, making around $15M+, as Owler estimates. So, are they living by their slogan? 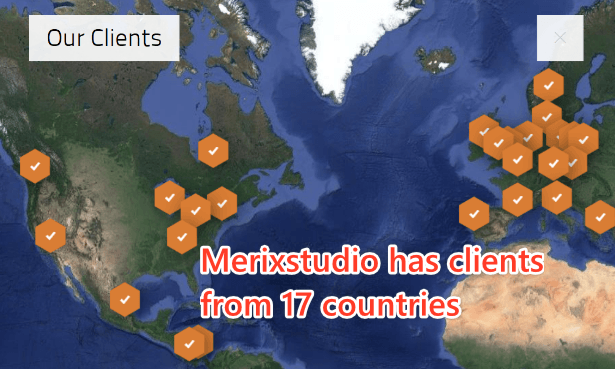 With 150+ clients spread worldwide, it seems that nearshoring works as well as offshoring for Merixstudio. Merixstudio seems to be diversifying its investments. They seem to want to live by this rule: “Don’t put all your eggs in the same basket”. Pretty wise I might say. Digital Signage by Merixstudio is focused on creating interactive applications and games for digital signage. Digital signage is a sub-segment of electronic signage. Digital displays use technologies such as LCD, LED, projection and e-paper to display digital images, video, web pages, weather data and more. So, what should a top software development company do to shake hands with companies such as Toshiba, HSBC, The Independent, Homes.com, Virgin or Volkswagen? 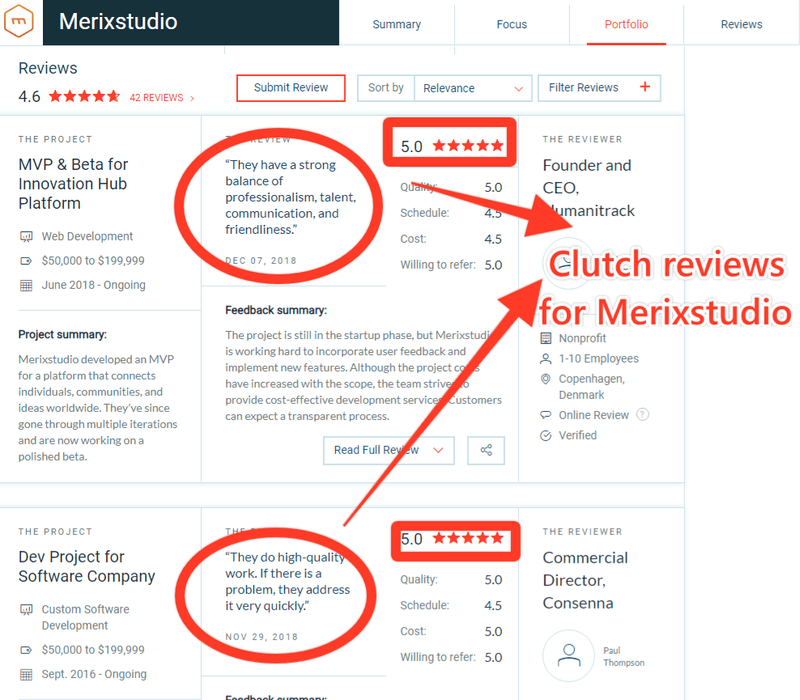 It’s time to find the sweet spots in Merixstudio’s marketing efforts. Let all secrets aside. This is just a glimpse of what’s coming up next, so stay tuned. In the past, differentiation was achieved through a superior product, a fast supply chain, or great customer service. Nowadays, everybody does it and it’s getting so darn hard to move the needle. How can you win this game? 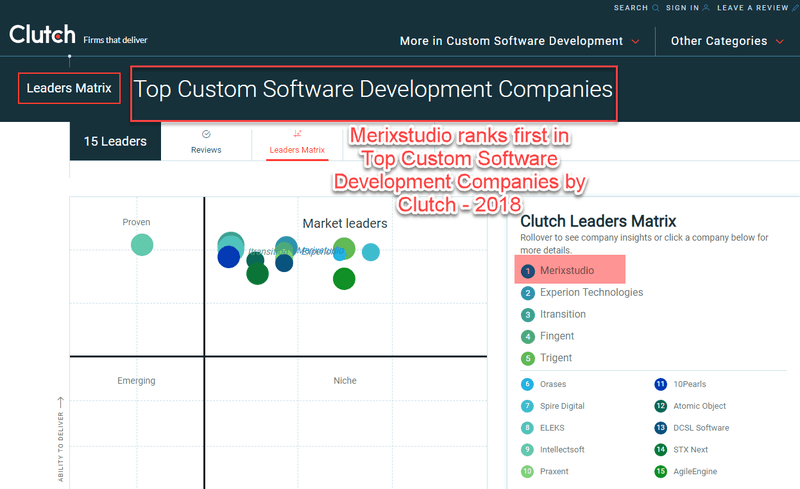 Well, it’s time to learn from one of the best, one that almost never misses being ranked as a top software development company by Clutch: Merixstudio. We’ll put under the microscope Merixstudio’s marketing strategies and study their growth story, so follow me. One can create the best software solution but if no one knows it exists, you are pitching the idea to an empty room. For Merixstudio, the 40+ awards are doing just that: filing the room. 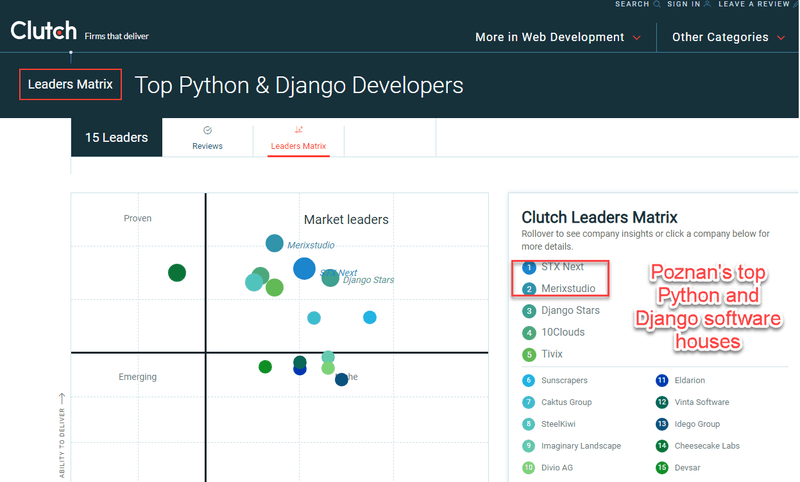 The Manifest made its own top 100 web development companies, and Merixstudio is ranked sixth. So, Poznan is feeling lucky: make way! STX Next, Merixstudio and Netguru are leading the game. 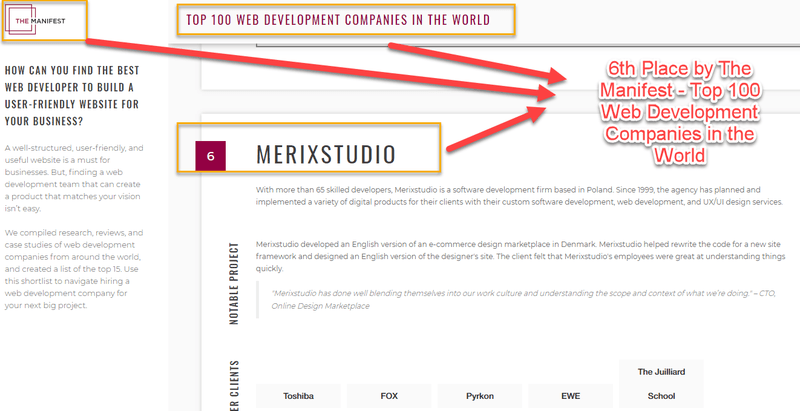 Being ranked 6th best web development company, Merixstudio should have a world-class website, right? “We build functional & super-awesome-looking web applications, websites and HTML5 games. We love open source”. Can you give me some examples of your work? 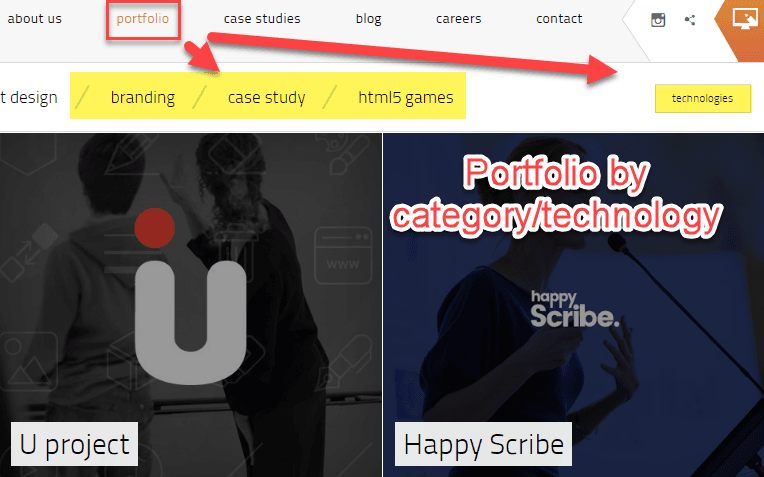 There you go: portfolio and case studies by category and technology. See “contact” in the website menu. 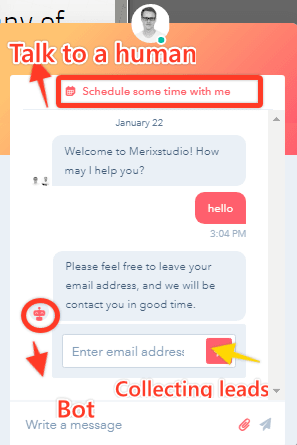 With a clear menu and submenus, easy navigation, a chatbot implemented, Merixstudio is providing a good user experience. 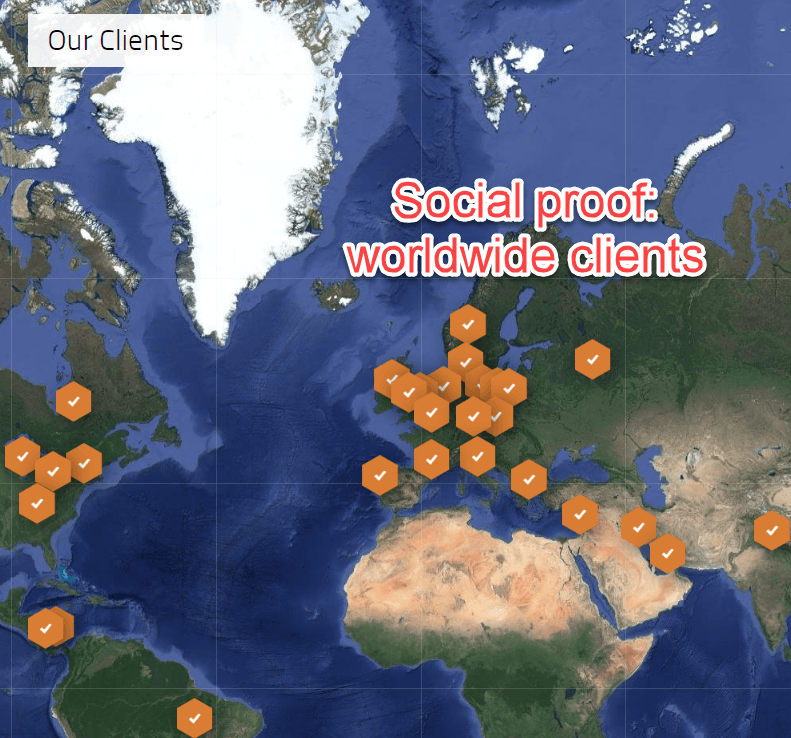 Social proof is visible: testimonials, clients, awards. 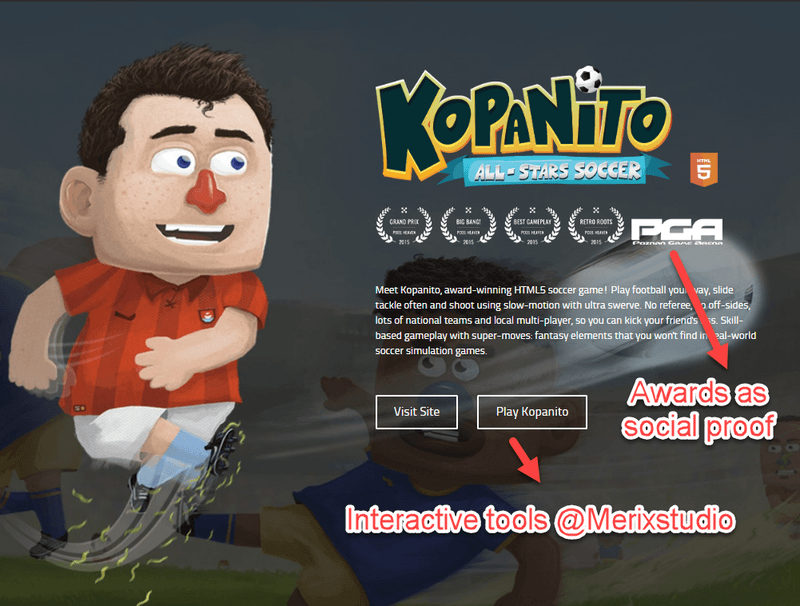 In the ”Ideas” section of the website features the company’s personal projects, such as games which can be played right away. Kinda creative I might say? 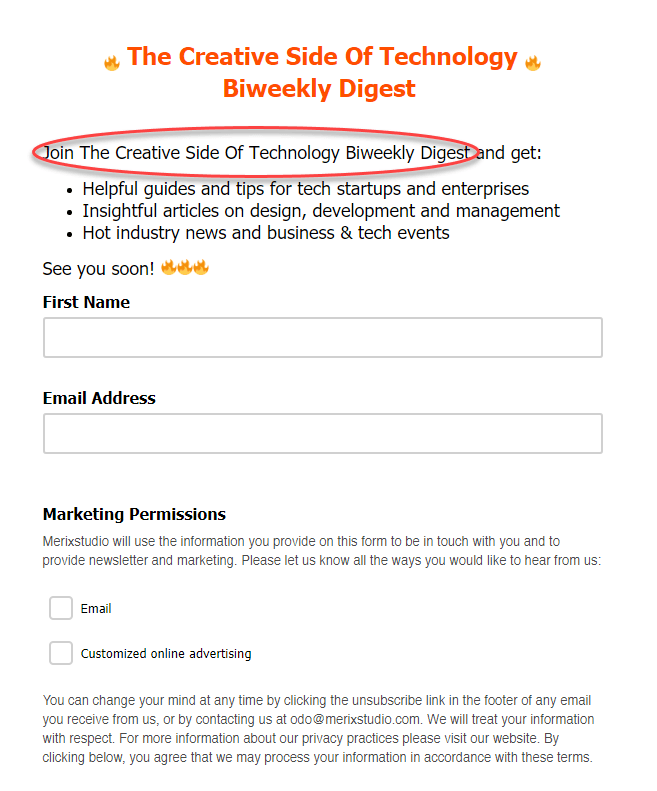 Speaking of, their weekly digest wants to be a creative wrap up of tech and design insights. 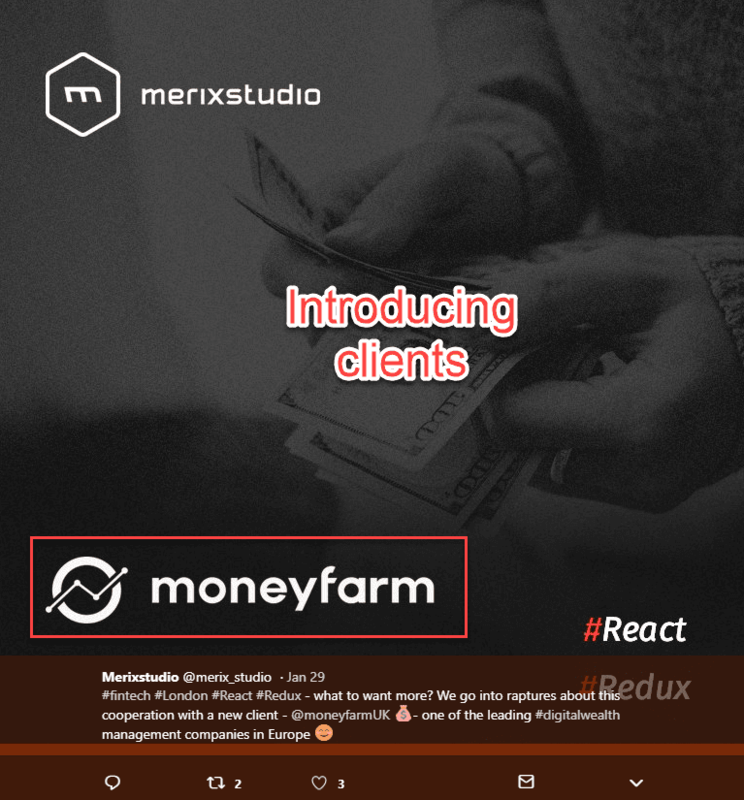 They’ve designed a micro-website where they speak about what they do, how they do it, successful projects, why outsource with them and PR mentions. 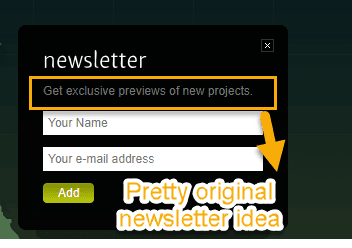 Here visitors can also subscribe to a newsletter, an original one. This is new for me: promoting exclusive previews of their software solutions. So far, I haven’t noticed any personalization while navigating the website. They seem to be using Hotjar, according to Similartech, so they want to get the hang of conversion rate optimization and A/B testing. Because Merix is a Hubspot user, they could take advantage of the personalization features it provides. Speaking of chat bot, Merix is using Hubspot’s chatbot. In the age of artificial intelligence, considering a chatbot is just a small piece of the pie when it comes to conversion rate optimization. If you want to get in touch with a team member you can schedule a call. Else, you can leave an email and they’ll contact you back. 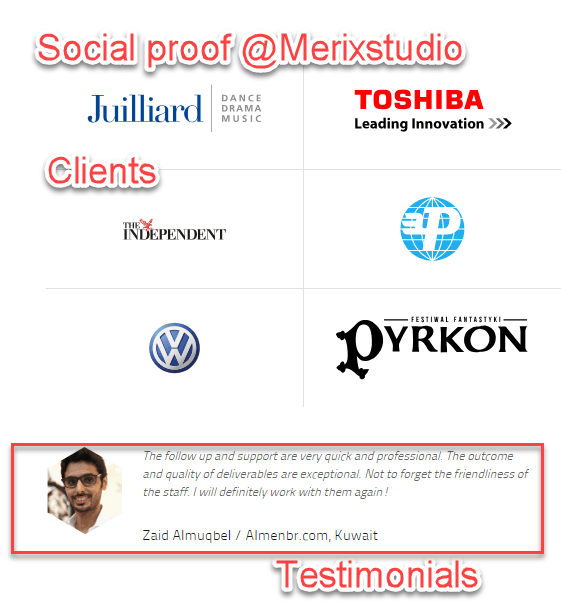 Direct and search traffic are responsible for more than 85% of Merixstudio’s website traffic. My guess is, the organic traffic increased 15 times since the beginning of 2017! The data might not be 100% accurate, but still, the results are there. Further on, our analysis will go even deeper than this. So, blink twice if you’re still with me. The design of the blog is not quite as what you’ve been used with. They’re challenging a bit the design. 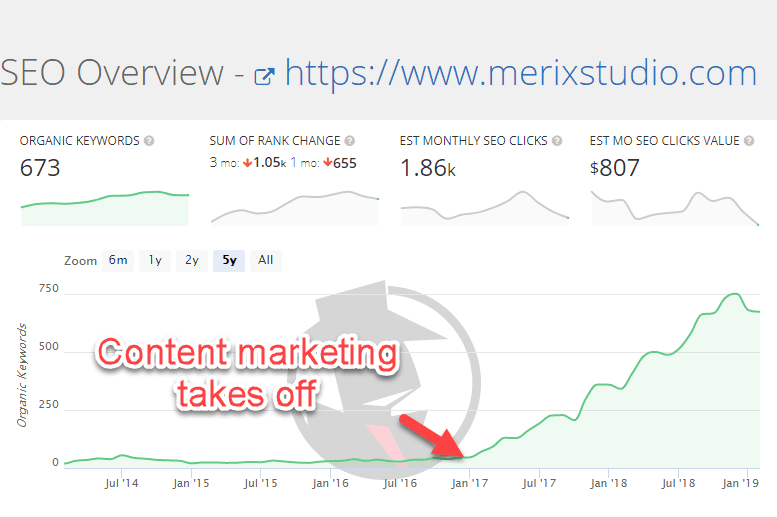 It takes some time to get used to it, because we’ve been educated by other blogs to have a different kind of listing, but Merixstudio is giving a shot to a different approach. The main categories are: business & agile, product design, code & tools, people and events, and case studies. 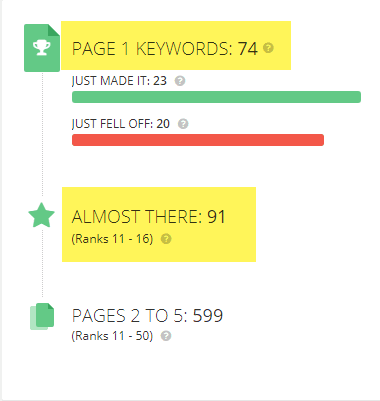 According to Spyfu, Merixstudio has 74 keywords that show up on the first page, and 91 ambitious ones that rank 11 to 16. 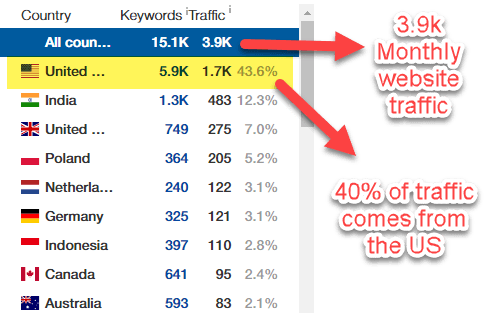 Below you can find the keywords that bring in the most traffic. Do you see a pattern there? 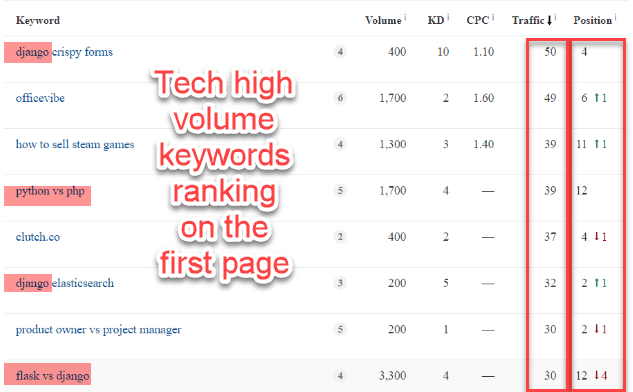 Most popular blog posts and keywords talk about different technologies, comparisons. And the technical blog posts are created by developers. It’s great when developers are involved in content creation because tech subjects seem to have lots of traction in this industry and can be the proof of expertise. I’ve dug a bit through Merixstudio’s backlinks. They’ve got some really good quality stuff linking back to mostly to their homepage (quite unusual for the business, usually the blog posts are getting the backlinks). 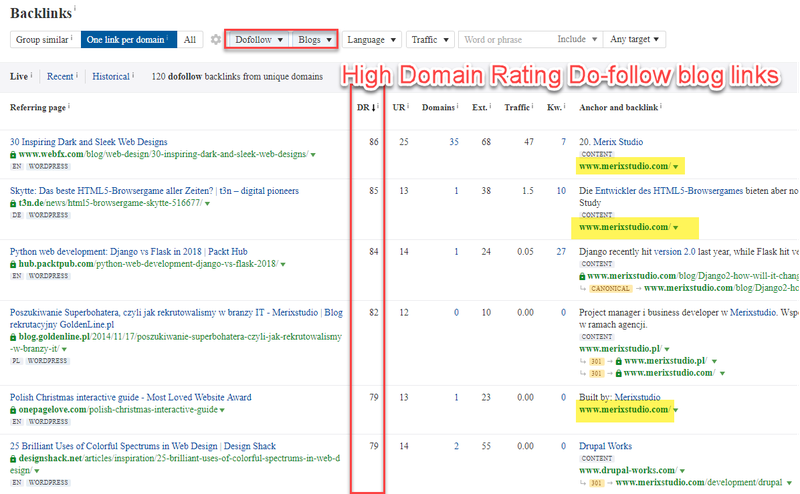 I’m talking about do-follow links from domains with a domain rating above 70! The content linking back comes from tech and design websites and blogs. So, it’s starting to make sense, right? 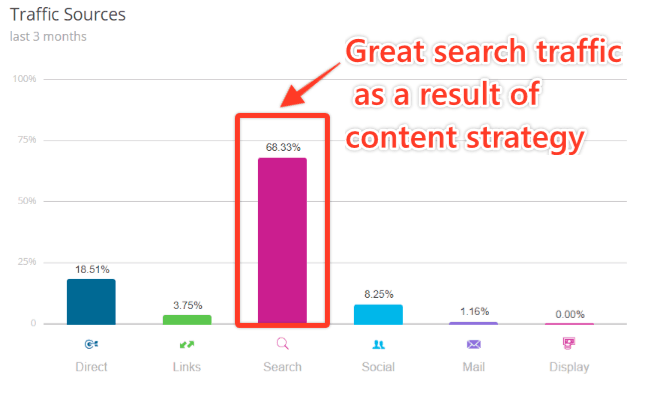 Original content + quality backlinks = a lot of Google love. Hi Michał, nice to meet you. 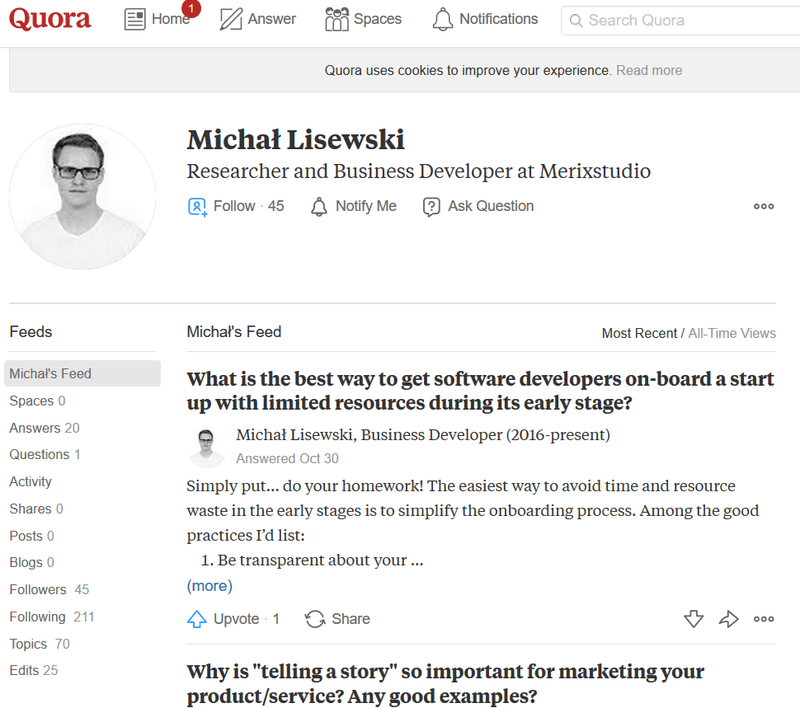 Michał Lisewski is a researcher and business developer at Merixstudio. He deals with editing answers on Quora, he mainly mingles with outsourcing topics. Quora is a great place to demonstrate expertise on your subject. When done properly, a business can showcase knowledge in its niche, can get new traffic from brand new audiences on the blog and other types of content. As long as you provide real value you can get more followers or subscribers. Building a social media presence is not a stand-alone marketing strategy. From community engagement, events networking, client and employees interactions everything will end up there: in social media. 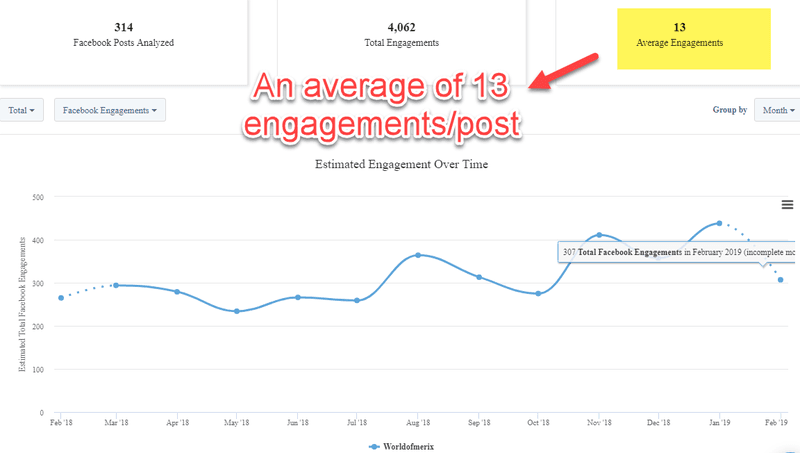 It’s not all about some vanity metrics like impressions or likes. It’s more than that: it’s brand awareness and employee branding altogether. The Facebook profile seems to be a tool to build employer branding for Merix. Regarding Facebook, it seems that images and posts about team members get the most interactions, according to Buzzsumo. 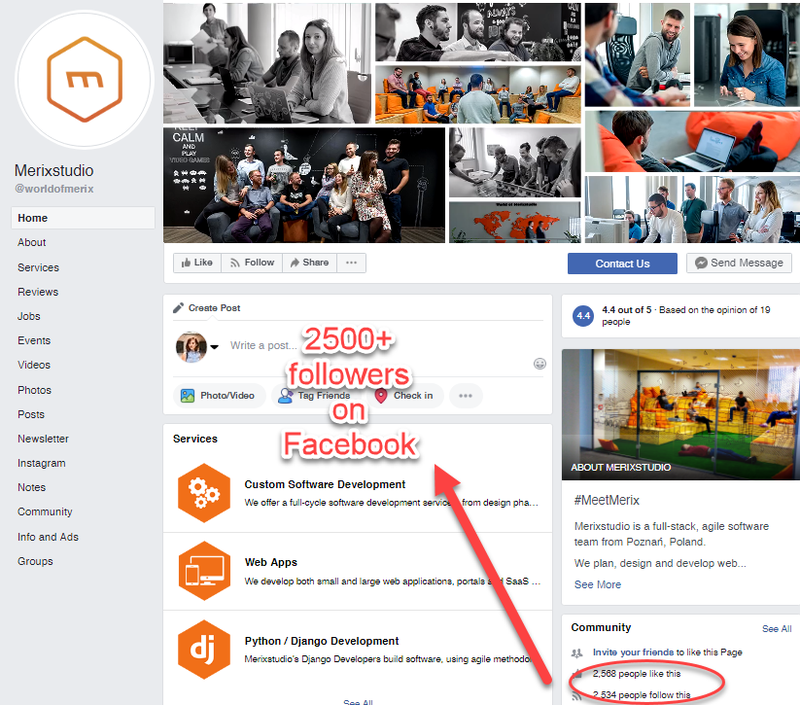 Merixstudio is publishing on Facebook consistently, promoting their blog posts, speaking about their team members, events they’ve participated in, awards they’ve received. Just like the neighbor next-door, the software consulting company,Netguru. 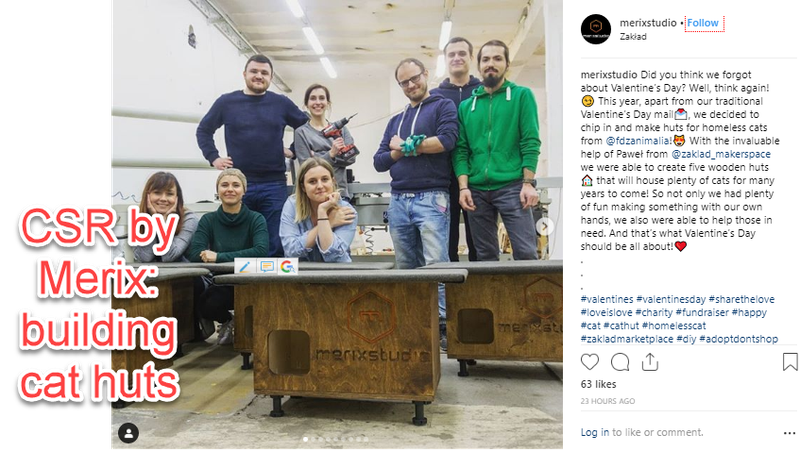 Through the content posted on Instagram Merix wants potential employees to have a taste of the company’s culture and see how day-to-day life goes on at the office...and around it. They also promote events they organize or go to. The main message is: it’s all about the people. On Twitter the messaging goes two ways: improving employer branding and getting more clients. 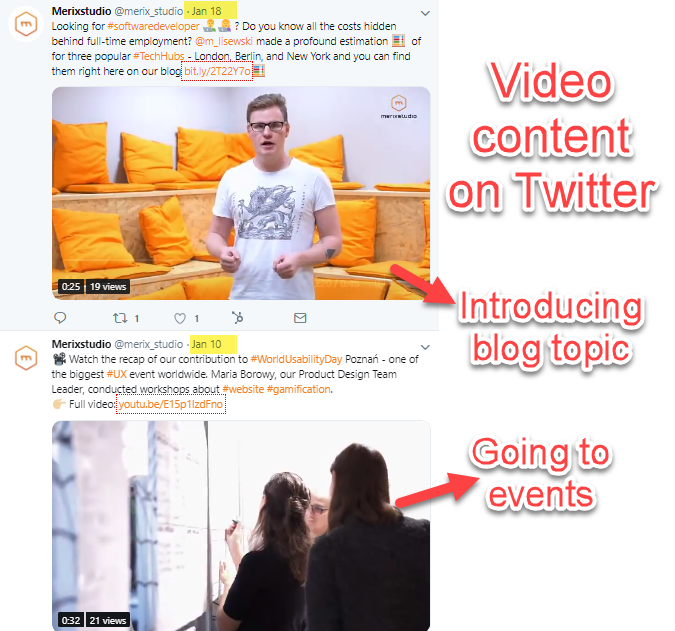 At the beginning of 2019 video content seems to be taking over the Twitter account. Whether it’s about talking about the latest blog post, or events they’ve been to, Merix knows that video content will take over social media. And because Merix is all over the place: from conferences, meetups to workshops, tweets speaking of their community involvement are everywhere. The LinkedIn account is merely about building brand awareness among future clients. Blog posts, events they organize or attend to, all is there. Being more client oriented, the focus for the moment seems to be promoting their Django Trench release. It’s their open source application that deals with two-factor authentication for Django REST Framework. Also, they are building a Hate Speech Detector using machine learning (this sounds awesome!). 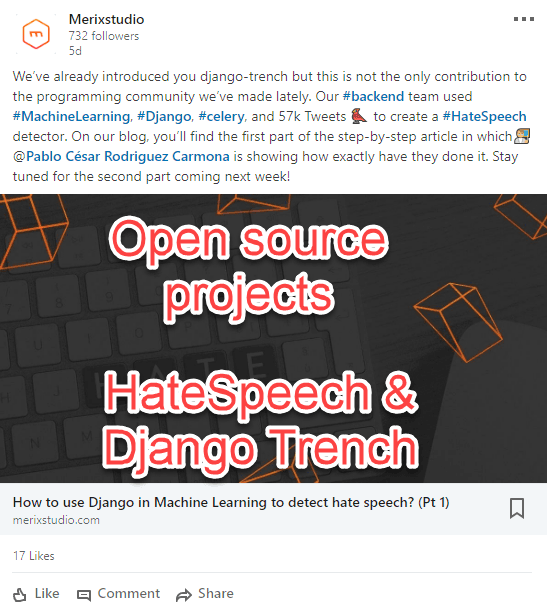 Not only that machine learning is the new hype, but also “hate speech” is an important issue in media and on the internet in the latest years. And they seem to have the solution for that. This could get a lot of traction if promoted properly! The Dribbble account has 115 followers by now, not quite in focus, but it’s pretty darn hard to handle a lot of channels and one needs to prioritize. 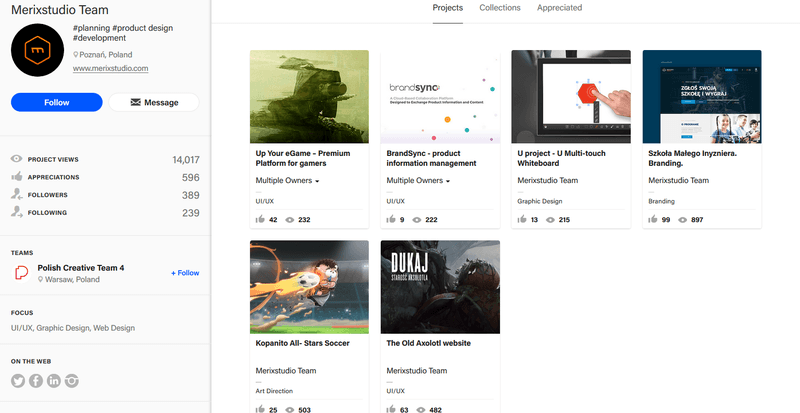 Their Behance account is a bit in its infancy, but there’s plenty of room to grow. These two online communities are helping businesses to showcase designer/web-designer work and more. But it’s not enough to display your art there. You have to take the bull by the horns and get yourself noticed. Besides engaging in interactions (leaving constructive feedback and questions on other designs, start following other UX designers, web-designer etc), the portfolio should be actively promoted on social media. 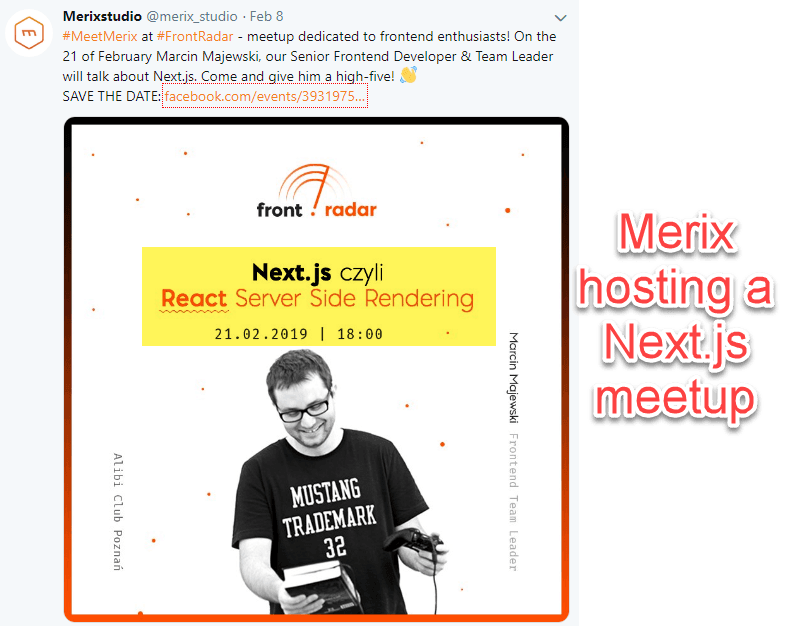 As a top software development company, Merixstudio is clearly all-in for building its branding offline though getting involved in the community. DevCollege is a Merixstudio Project that delivers web and game development workshops, since 2017. These are whole-day events, held at their office, that combines practical workshops and technical presentations. Django Hotspot is another community event that’s grown since 2016, gathering Django/Python fans at dedicated meetups. Another initiative is called front.radar and focuses on the frontend development community. 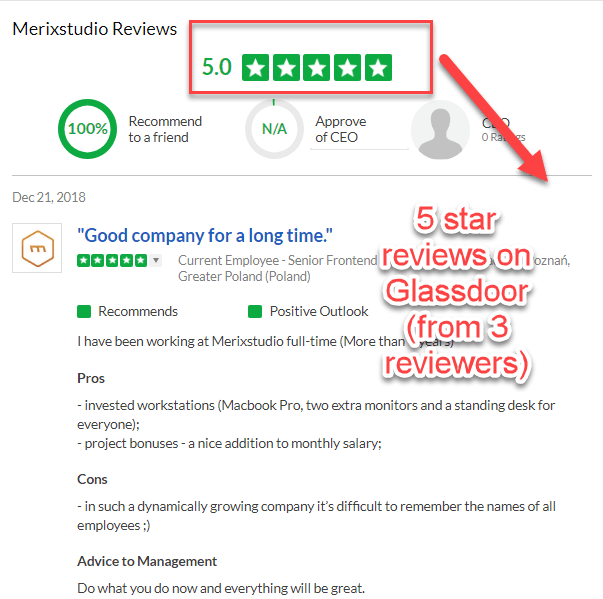 Peeking at what former employees have to say about Merixstudio on Glassdoor, we’ve found only 3 results, not quite statistically relevant. They praise the great people working there, the motivation & support, the financial & non-financial perks and the good learning & development environment. Currently, they are looking to expand their developer, QA, design and project management teams. 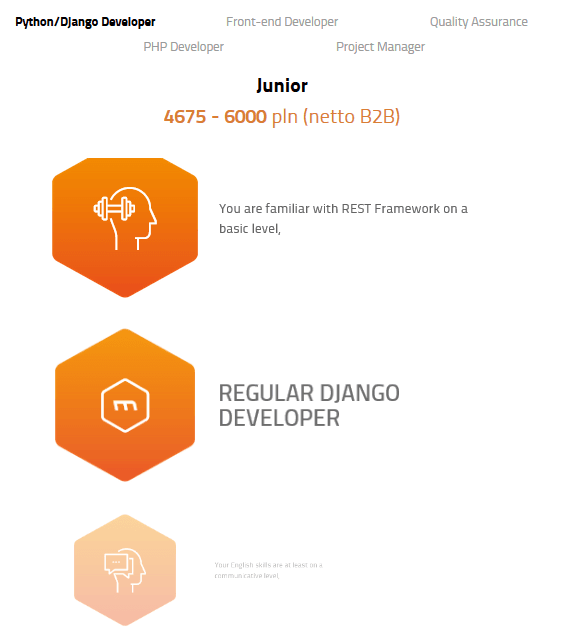 They are very transparent about the salary and career path, same as Netguru. 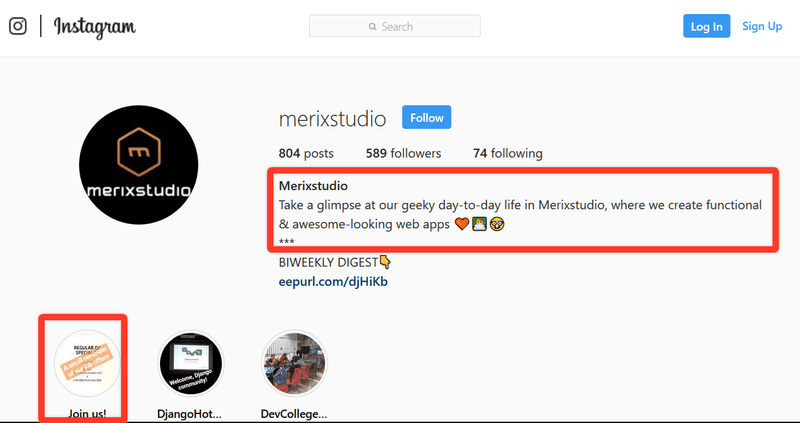 So, what is Merixstudio really good at? So, yeah, they should be on your follow list, next to the software consulting company, Netguru and Poznan's software house, STX Next. We’ve covered their success stories early on. 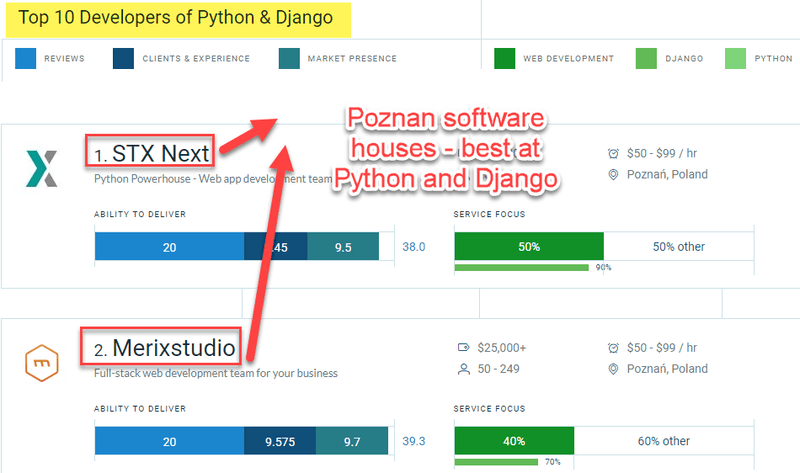 Here we’re closing our series about the 3 magnificent software houses in Poznan. It was a journey full of revelations on how inbound marketing is contributing to the business growth, how employer branding is crucial in a very noisy market hungry for the right talent, where a strong social media presence is vital for getting your voice heard. But, the picture we’re painting goes further than Poznan. The success stories aren’t over yet, we’ve got some more juice for you, enter Kraków, Wroclaw and Warsaw with their superstar companies. Next, we deconstruct the IT outsourcing market in Poland, with its trends, opportunities, challenges and successful companies. And the cherry on top is our Ultimate Guide To IT Outsourcing Companies in Central Eastern Europe. 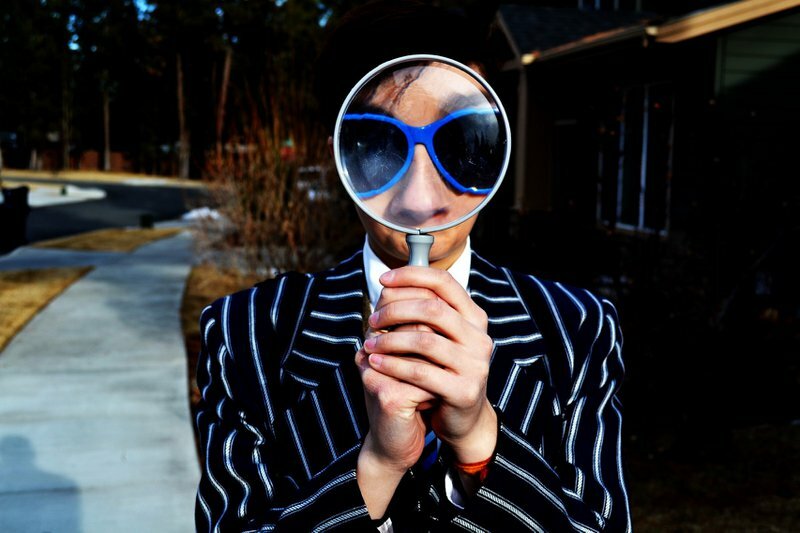 We worked our arses off to bring you a top-notch guide on the CEE outsourcing market so that you can also have the bigger picture, not only micro views. A passionate marketer, always learning new stuff, from front-end development to statistics, to CRO and psychology, because, in the end, in the land of marketing, everything connects.